I have a Second Grader now Plus a Senior Student too! Time flies so fast! After all the things that happened during the Summer Season, I almost didn’t realize that I do have now a Second Grader Student. I tried to hold back my tears for the First day of school because I know even if it’s okay to be emotional, I just don’t want it. 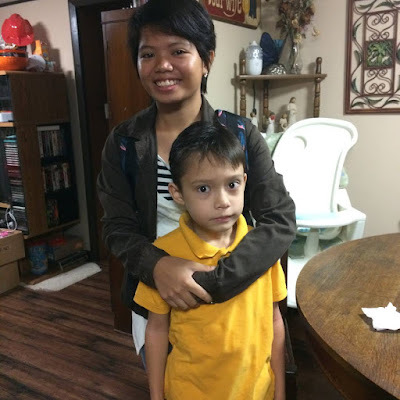 Also, this time, we have our niece all the way from the Philippines to become a Senior this year at Frewsburg High School. It would be a totally adjustment for her, because not only through her studies as the whole culture itself. They said that it’s easy for kids to adjust and adapt the new environment, however, we want to make sure that she is comfortable and happy with the new place. Temporarily she’ll stay with us, since she went to the School District in our town, and by law you must be living within the District. Everyone woke up early on the first day until now and hope it will be like this until the end of this year. Everything seems pretty jolly and happy with our Second Grader and Senior Students. And after school, they both have a great First day. All I can hope for is a great school year for both, especially to our Senior Student.